CBD Oil – Does It Help Anxiety? CBD oil is everywhere at the moment. Touted as a miracle cure for everything from anxiety through to depression, epilepsy and even cancer, its proponents are keen to establish it as a credible mainstream treatment. As hypnotherapists, we make sure that we keep up to date on research into potential treatments for all things mental health, so we’ve been keeping an eye on the work being done with CBD oil in anxiety, as some of our prospective clients may have been recommended it, or tried it to manage their symptoms before they get in touch with us. In addition to running my hypnotherapy practice I’m also a practising pharmacist so I get asked at least once a day to answer a question about CBD oil. Cannabidiol extract, to use its other name, is extracted from what is known as either the cannabis or hemp plant. Both names refer to cannabis sativa although many different varieties exist depending on what you want to use it for. If you need fibres for rope, plant mass for biofuel or animal nutrition, then those varieties are usually known as hemp. Want to get high? you’ll need varieties high in CBD’s twin brother, tetrahydrocannabinol (THC) the chemical responsible for the well known physical and psychological effects of what is then called cannabis or marijuana. CBD, on the other hand, has no psychoactive properties. Much of the media coverage around CBD oil has centred on its use to help with two obscure, but debilitating forms of epilepsy in children, but it has also become very popular as an alternative to prescription medicines in treating issues as diverse as anxiety, PTSD, Alzheimer’s disease, arthritis, pain, cancer and movement disorders. Is it safe to take with my prescription medicines? Does it work? so let’s look at each of those in turn. Pharmacies, like anywhere else, are currently permitted to sell CBD oil, capsules, vape solution or any other format of CBD openly on self selection shelves because, provided they or the manufacturers make no claims about its use, it is currently classified as ‘a food supplement’, rather than licensed or regulated as a medicine. This is an important distinction as it means that manufacturers can’t claim that their products ‘do’ anything nor even ensure that they contain exactly what percentage of CBD is stated on the label, leading to a bewildering array of products of varying quality. One of the pharmacies I work in does offer CBD products for sale, and I know that they were very careful to source the oil and capsules they sell from a reputable supplements company who do test for consistency and quality in each batch, but not all suppliers do so. This doesn’t necessarily mean that other products are of lower quality, but simply that because CBD is extracted from a natural plant source it may vary from batch to batch, making it tricky to get a reliable dose. It is also possible, and one of the authorities’ biggest concerns, that such unregulated oils will contain traces (or more) of THC, depending on which strain of C. Sativa plant they sourced it from. Anything above 0.2% THC takes it into illegal territory, as set out by the Home Office. Where so few good quality trials on CBD have been done, attempting to define doses for treatment of any of the suggested uses is very difficult. It’s also complicated by the incredible variety of forms it is sold in – oils, capsules, gel tablets, chewable gummies and vaping solutions, each available in a bewildering choice of strengths, which due to the different methods of production, are not directly comparable to each other! Some studies and informal forums suggest that a dose of 20mg of CBD twice a day could help with pain, while doses to relieve anxiety or promote sleep might well need to be higher, with doses of 300-600mg suggested in some places. Is it safe? Well, advocates of CBD will tell you it’s very safe, so much so that it can be given to absolutely everyone – children and pets included. While most studies seem to confirm that yes, any side effects are mild, limited to feeling a bit nauseous, or sleepy, there are some potential clashes with prescription medicines. Due to its effects on liver enzymes, CBD slows down how well the body gets rid of many common prescription medicines, leading to higher than expected levels. For most medicines, this isn’t too much of a problem; but for drugs like the anti-cholesterol statin drugs, or some of the drugs prescribed to reduce blood pressure, it can be relevant. Interactions with warfarin (an anti-clotting medication) could be potentially dangerous by making it harder to control bleeding. CBD is also likely to raise levels of pain killers such as codeine and morphine, which might be problematic in patients who are taking high doses of them. And finally – does it actually work? Many small trials and peoples’ personal experiences have shown it has the potential to be useful in treating social anxiety, schizophrenia, panic disorder, Alzheimer’s disease, PTSD, neurological problems like multiple sclerosis, OCD, inflammation in arthritis etc, chronic pain, some types of cancer and insomnia – all issues which traditional medical practitioners find hard to treat effectively without great expense and numerous side effects. One such study* used the idea of public speaking to test the impact of CBD for anxiety, with impressive results and minimal side effects, even with relatively large doses. Another showed a reduction in the severity of PTSD type symptoms when CBD was used after the initial trauma. 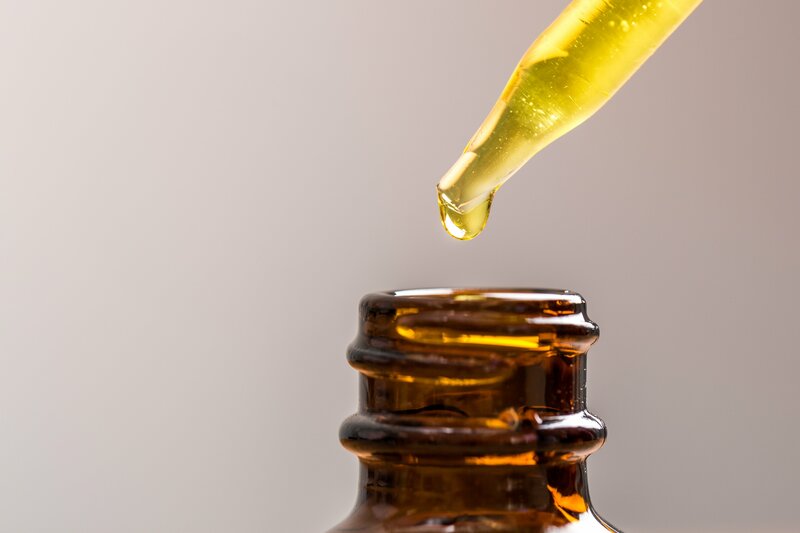 Both of these studies were completed in a controlled laboratory style setting, and only used CBD for a few short doses, so there’s still a question over how effective taking CBD supplements long term would be. There’s also the weird quirk that really big doses of CBD, while still well tolerated, seem to have no effect on anxiety – CBD only seems to improve anxiety-type symptoms when taken at low to moderate doses, showing there’s still a lot of work to do in understanding how exactly it works within the brain. To unlock CBD’s full potential, understand where and how it’s working its magic, and to work out the best doses and ways to administer it we really do need some big, good quality studies, using large numbers of patients and comparing CBD to placebo groups, to see how well it works for all the disorders I’ve mentioned. For now, though, there are large numbers of people using the ‘over the counter’ versions that say it has helped them, and even larger numbers of people who may benefit. One of the big advantages of hypnotherapy is that it can safely and effectively be used alongside prescription medication. This is equally true of CBD oil, and given how well these early studies show it can work for anxiety, it would seem an option we may see more and more of in the future as we get more information from research studies on where it can be effective. Problems like anxiety can come and go, at different points in a clients life, or even in a day, sometimes! The advantage of being able to access something fast acting, with few side effects, not likely to result in dependency, and where the dose is ultimately flexible and decided by how the person feels right at that point in them could be valuable, allowing them to feel in control and giving them time to learn other techniques (like those we use in my hypnotherapy clinic) to manage their challenges in the long term. The safety of CBD for most users suggest that it might be worth trying a good quality product to see if it helps, but I would always recommend that you get some advice from a medical professional before you start. If you would like to explore how hypnotherapy can help you reduce anxiety get in touch to book your FREE initial consultation with your local Inspired to Change hypnotherapist. Inspired to Change Hypnotherapists are based across the UK in Bristol, Cambridgeshire, Devon, Kent, Leicestershire, Northamptonshire, Norfolk and Somerset.